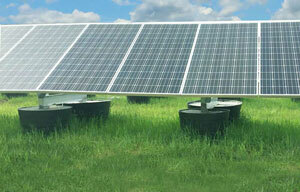 The GameChange Pour-In-Place™ Ballasted Ground System has become the leading solar structure solution for landfills. NEW YORK, NEW YORK – January 23, 2018 - GameChange Solar today announced that shipment of a 13MW Pour-In-Place™ Ballasted Ground System has commenced to a landfill site in New Jersey. The GameChange Pour-In-Place™ Ballasted Ground System has become the leading solar structure solution for landfills in the United States and is starting to see significant interest internationally as well.